Earlier today, spotted some tasty treats on the interwebs. This appears to be the official source. 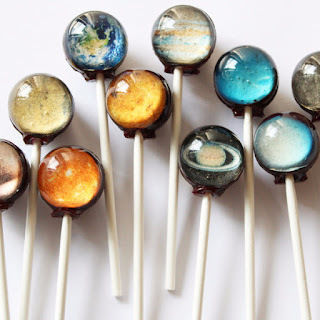 Planet lollipops® by Vintage Confections in the Illinois (link). Too good to eat.